Limitless. Minority Report. Damien. Fargo. Scream. Ash vs Evil Dead. 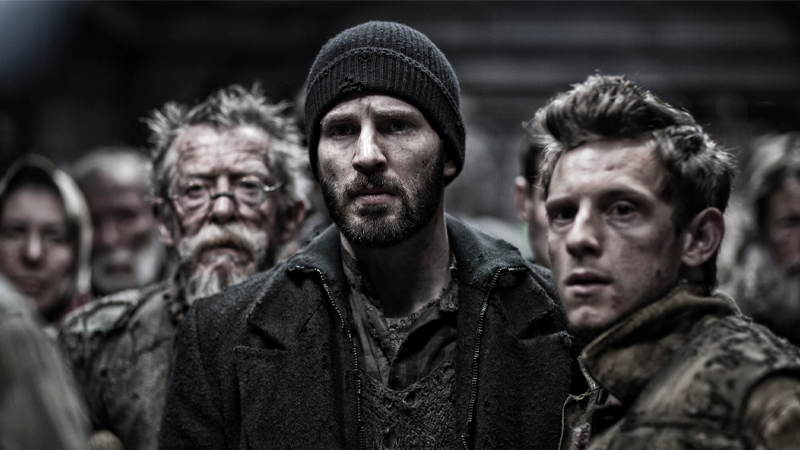 The list of movies that are now TV series goes on and on, and we have another to scrawl onto the bottom of the ever-lengthening list: Bong Joon Ho’s “dystopia on a train” thriller Snowpiercer is now Snowpiercer: The Comic: The Movie: The TV Show. Tomorrow Studios have optioned the 2013 movie (very specifically the movie, rather than Le Transperceneige, the original Jacques Lob/Jean-Marc Rochette comic it was adapted from) starring Chris Evans, John Hurt, Tilda Swinton and more for a full TV series, written by The Sarah Connor Chronicles’ Josh Friedman. Although no casting has been announced—it’s perhaps unlikely that the movie’s cast will return—Bong Joon-Ho and his co-producer on the film, Dooho Choi, will produce the series. There’s little else we know about the show, but presumably it will act as a prequel to the film and explore the dystopian society aboard the train before Curtis Everett’s (Chris Evans) revolution takes place. Or maybe it’ll be a sequel? If you can’t make a movie these days, it seems like the hot new thing is just to make it a TV show instead.